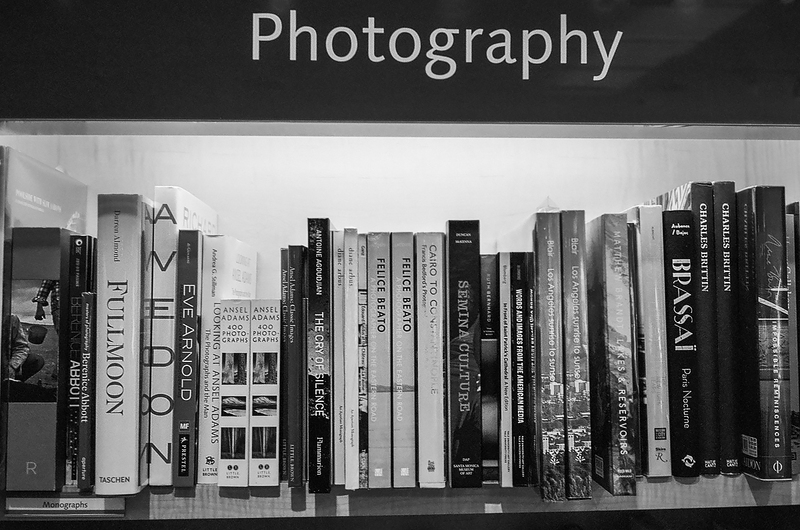 Where do you start to understand what photography is about? It occurs to me that there is a starting place, a foundation of its aesthetics, history, and the science of photography. This photographic foundation is wrapped within hundreds of dusk jackets written mostly by photographers‘, about photography from their lives as photographers. For nearly 50 years since my earliest student days I have bought these books to be fascinated by them, entranced by their printed picture, and then using their contents to think about photography to become a photographer. The Biography of Berenice Abbott which digs into Abbott‘s life and reveals startling details of her early life: Berenice‘s early upbringing, to her life in the east village, to her life looking for art/women/men in all the wrong places and her photography teacher and savior ManRay. And that‘s just the first four chapters. Showing the life of people living on the edge by foraging coal from the ocean. One of a series of books documenting the other side of Aparteid in South Africa. Ballen‘s photographs show marginal white miners scratching out a living in the flatlands of northwest South Africa. Communities of doctor less families often with incestuous marriages. From1957 through 1965 Smith lived and worked in a loft which had multiple floors. After the Jazz Clubs closed in New York City, these same jazz musicians would gather at Smith‘s loft and jamed into the wee hours of the morning. Smith had drilled holes in the floors so he could run speaker cable to record those jam sessions. Smith also had a broken window where he would set-up a tripod and capture the street outside his loft which was located in the middle of the wholesale flower district. Smith recorded thousands of taped hours of radio broadcast besides the jam sessions. That‘s exactly what is in the book, people coming and going as only Winogrand could show you. It was made posthumously by Lee Friedlander his dear friend and street bud. Some pictures look so simple and they are. That‘s what Garry was good at, looking at the world we all live in and wish we could have been there. Picture processes which allow you to study photography’s image making history. The founding father and ideology of American photography. The Avatar of modern photography. The extension of Atget, adding Evans lyrical documentary approach to photography. Her unpublished documentary projects, Greenwich Village, U.S. 1, U.S.A., New York & more. The story behind one the hardest working and sincere humanist in documentary photography. The book that launched a million Leicas, seeing 1950’s America through Frank’s own subjective vision. A Latin American photographer who become a Monk, then a writer of prose, a thinker of images and image making. Retrospective catalog of a photographer who removed emotions from image making. A great documentary subject shot in large format with intimate closeness. Personal interpretations and sequencing by one of the great thinkers of photography. Making photographs of the most common and prosaic beauty. One man’s fight to save the great architecture of early modern Chicago, and his personal view of people. A peek into America after the summer of love. When people smoked in offices and wore white shirts and black ties. An unusual and a bit macabre publication of found images which suggest that every photograph has an afterlife. Stories of how Ansel made his great landscape images, with interesting technical revelations. A recent unknown house keeper and nanny, who’s vision of the street and her world is simply amazing. A look at the ideas of a Japanese photographer brought-up in Japan after WW2, stark and inky. Short edited essays on how the invention of photography changed our world and how photographic images have made our world. A writer who doesn’t own a camera, but writes about it as if he invented it. Books are silk tapestries in my hands. They carry more than ink on paper, they carry vision.